A bunch of the Real Housewives are reselling some of their clothing online for charity, which, okay! That makes sense! What I don’t follow is why anyone would try to get rid of this tube top. It’s great! Carole Radziwill, from The Real Housewives of New York, is selling it for a little under $100. It’s part of this promotion she and Ramona and Dorinda and Luann are doing with a resale site called thredUP. I am not part of this promotion despite writing this blog post. 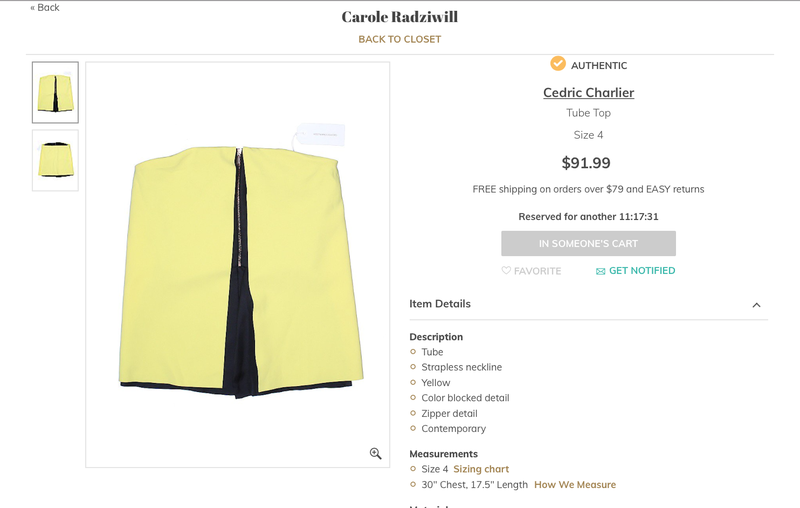 Carole told The Hollywood Reporter that she’s selling her clothes “to kick off a cleansing period,” as “summer is always a great time for a detox.” Sounds like the kind of thing you’d say if a rat crawled into the back of your closet and died in your coveted Cedric Charlier tube top!